Click for full size. The full scale of this terrible tragedy is still along way from being realised. 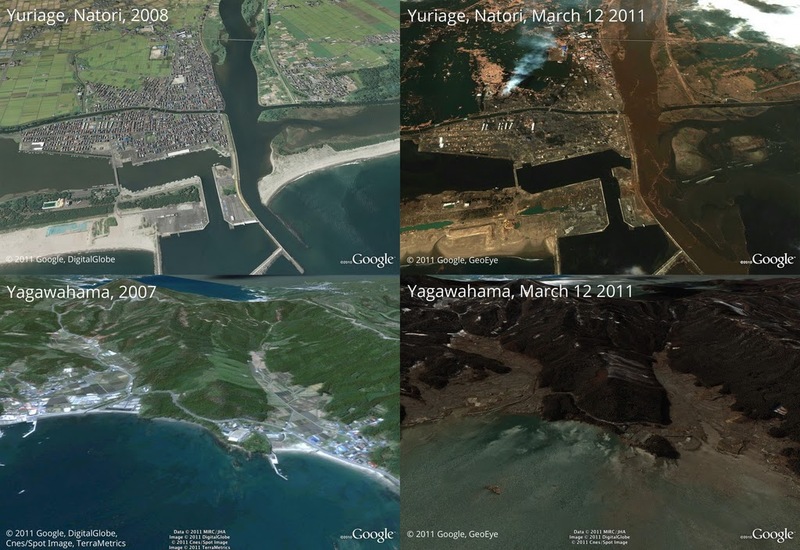 Unless the communities in the above pictures were evacuated before the tsunami hit, there would have to be enormous loss of life.